The Hannibal Lecter story had been told a few times now, all with varying results. Most of them are pretty good, such as the original source material by Thomas Harris and the film adaptations of his 1981 book Red Dragon (first by Michael Mann in Manhunter and later by Brett Ratner in Red Dragon). Occasionally though the Hannibal Lecter story has been told immensely well, as with the brilliant The Silence of the Lambs and again with this, Hannibal the TV series. Starring Hugh Dancy as special agent Will Graham and Mads Mikkelsen as the eponymous Hannibal, the series follows Graham and the other operatives of the FBI as they solve gruesome crimes committed by various psychopaths both far away and suspiciously close to home. The head of the division, Jack Crawford (played by Scott Glenn in The Silence of the Lambs) is here portrayed by the always awesome Laurence Fishburne. As Crawford, he brings the authority and the coolness he brought to roles in films like The Matrix and the underrated Event Horizon. While Glenn was good as Crawford in The Silence of the Lambs and Harvey Keitel was equally good in Red Dragon, here in Hannibal Fishburne knocks it straight out of the park. While some of that is due to the nature of TV, as it can devote more time to exploring the side-characters like Jack than the films did, a lot of it is down to the brilliant writing and the equally brilliant performance by Fishburne. Saying the TV show represents the characters better than the films might be a running theme with this review but it’s pretty much the case with all the characters. Hugh Dancy’s Will Graham is another example of this, especially when compared to the more boring and diluted version of him in the Ratner film Red Dragon, played by Edward Norton. In the film Graham is a pretty much just another agent and despite the fact that his gift for extreme empathy is retained, the character barely resembles that of his superior TV show counterpart. 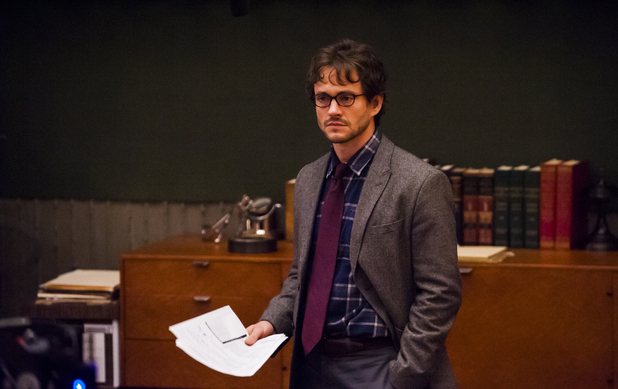 In the show Dancy goes all the way with the character of Will Graham, showing us that this gift he has can also be a burden, especially when utilised by others. 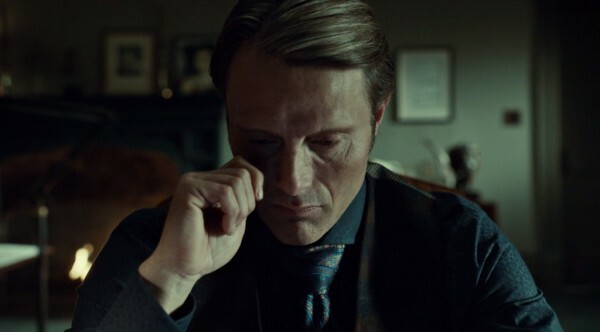 In fact the most horrific aspects of the show aren’t the grisly murders, but rather the way the other characters like Hannibal manipulate poor Will into the worse possible situations. Hannibal himself in the show, played by Mads Mikkelsen, is also perhaps the best ever iteration of the character. Anthony Hopkins’ portrayal of Hannibal was and still is brilliant, but Mikkelsen is even better as the oddly fascinating sociopath. He can pull off incredibly scary and a bit sad simultaneously, resulting in a truly captivating character. The fact that he’s also effortlessly charming, charismatic and stylish aids this and by the end of the series you’re not even sure who to root for anymore. I mean, you know Will is the one to root for but you can’t help but love Hannibal as well. As with the cinematic adaptations though, it’s not the individually well written characters that make the story a hit, but rather the interaction between them. Clarice and Lecter in The Silence of the Lambs for example, or even Will and Lecter in Red Dragon, to a lesser extent. Hannibal develops this further though with Will and Hannibal’s relationship being one part manipulation and another part a twisted sort of friendship. This means one moment you might hate Hannibal for his treatment of Will but the next you can see a friendship forming. It’s a sign of the great writing by Brian Fuller and the rest of the team and one of the strongest aspects in an ready strong show. As well as all this, the show is also extremely well directed. It not only mirroring the great direction of The Silence of the Lambs but also often evoking the films of people like David Lynch. 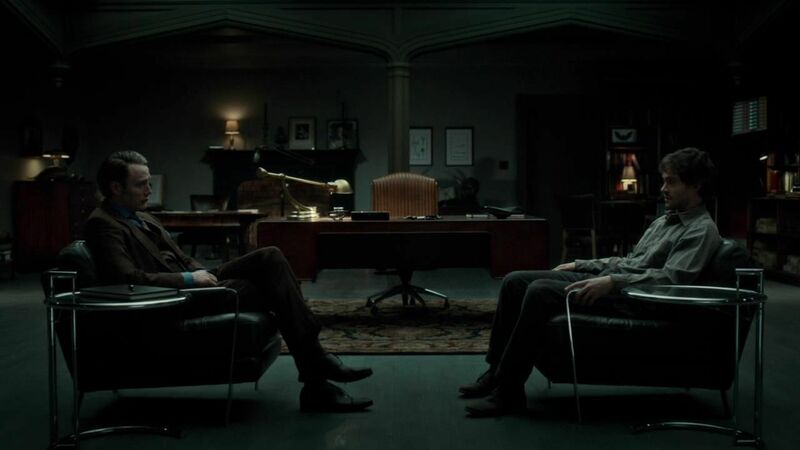 The Bottom Line: Hannibal is not only one of the best on-going TV shows of today, it’s also the best version ever of the Hannibal Lecter story. Mikkelsen is right up there with Hopkins as the titular Hannibal and Hugh Dancy and Laurence Fishburne are the best iterations of their characters too. Well written, excellently directed and strangely addictive, Hannibal is one the best and most interesting shows in years.